home - Dentist - Cirencester, Dr Linda Breeze. Welcome to the website of dentist Dr Linda Breeze, the only female dentist principle at Market Place Dental Practice, Cirencester, Gloucestershire, in the heart of the Cotswolds. Helping to provide the best possible advice and treatment for you and your family. 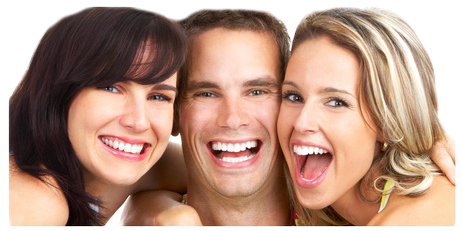 Offering modern, friendly dental treatment and individual attention, in a relaxed and caring atmosphere. Combining the very best of established techniques with the latest advances in equipment and materials. For more information on the treatments, appointments, opening times, procedures and practice policies visit the Market Place Dental Practice Cirencester website. Providing dental care in the dental practice in Cirencester with easy access from the nearby towns and villages of Cheltenham, Gloucester, Fairford, Northleach, Stroud, South and North Cerney and all surrounding areas. If you're looking for a new dentist or wanting to change your dentist in Cirencester, I am now accepting new patients at Market Place Dental Practice. Contact the practice today to book your appointment, for a better smile! Philips Zoom is a scientifically advanced teeth whitening procedure applied chair side at your dentist's surgery. It's ideal for anyone looking for results in just one visit.